The consultation will run for 12 weeks and will close at 5pm on 18th June 2019. Further details on the consultation and information on how to respond can be obtained by clicking here. Among the plans subject to public consultation, is the creation of specialist Hyperacute Stroke Units offering 24/7 access to faster diagnosis and treatment. The Department say the central aim of the reforms is to significantly reduce disability and save more lives. The proposed new network of Hyperacute Stroke Units will ensure that patients have access stroke care in regional ‘centres of excellence’ no matter where they live or what time they are admitted. The Department also say it will lead to increased use of Thrombolysis. The reforms will also support greater access to Thrombectomy, a procedure that removes a clot from the brain. Thrombectomy is currently available at the Royal Victoria Hospital from Monday to Friday, over limited hours. The Hyperacute network model will allow the expansion of Thrombectomy to a 24-hour, seven-day-a-week service and to ensure that appropriate patients from across Northern Ireland can receive treatment. The public consultation offers six potential new models of care, with potential networks ranging from three Hyperacute Stroke Units to five. Currently, there are eight acute hospitals routinely providing Thrombolysis to stroke patients. Department of Health Permanent Secretary, Richard Pengelly, said: “Our hospital stroke services are currently too thinly spread. Too many units are struggling to maintain sustainable quality care and staffing levels. There are around 4,000 strokes in Northern Ireland every year; it is the third biggest killer in Northern Ireland and the leading cause of adult disability. 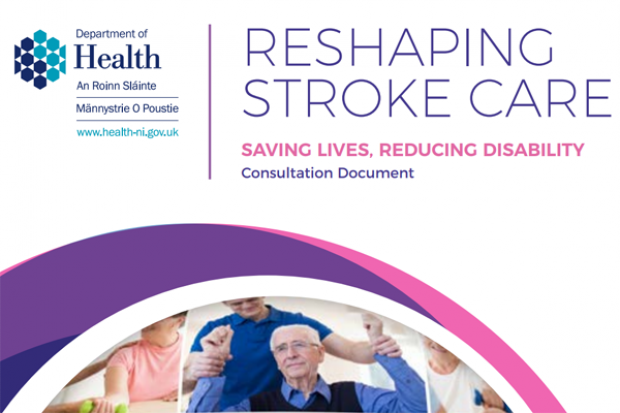 The Stroke Association has welcomed the launch of the consultation, and the charity’s Brenda Maguire said: “We are delighted that the Department of Health is moving forward and exploring options to modernise and improve stroke services. Reform is urgently needed and will save lives, reduce disabilities and help everyone affected by stroke to access the on-going support they need to rebuild their lives. “There is clear evidence that reshaping stroke services works – creating larger Hyper Acute Stroke Units with the equipment and experts to treat stroke patients, all day, every day as well as creating more sustainable services. We believe everyone affected by stroke should get the best treatment and care possible. Reorganising stroke services will help achieve that.